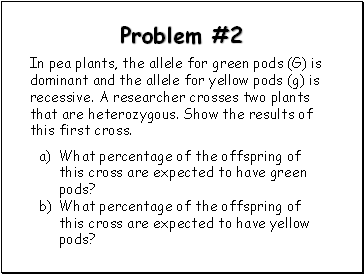 In pea plants, the allele for green pods (G) is dominant and the allele for yellow pods (g) is recessive. A researcher crosses a plant that is homzygous dominant (GG) with one that is homozygous recessive (gg). Show the results of this first generation cross (F1). What color are all of the offspring of this cross? 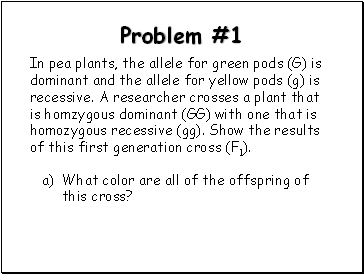 In pea plants, the allele for green pods (G) is dominant and the allele for yellow pods (g) is recessive. A researcher crosses two plants that are heterozygous. Show the results of this first cross. What percentage of the offspring of this cross are expected to have green pods? What percentage of the offspring of this cross are expected to have yellow pods? 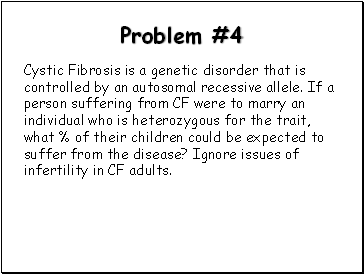 person suffering from CF were to marry an individual who is heterozygous for the trait, what % of their children could be expected to suffer from the disease? 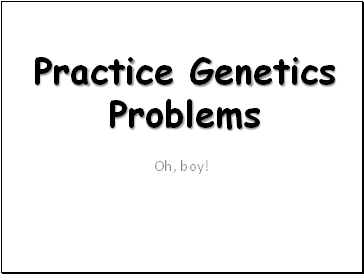 Ignore issues of infertility in CF adults. 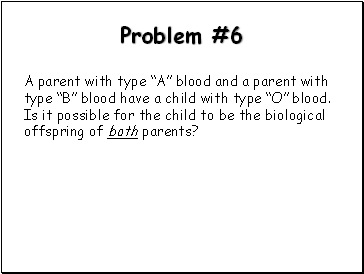 A parent with type “A” blood and a parent with type “B” blood have a child with type “O” blood. 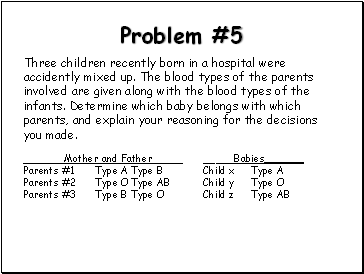 Is it possible for the child to be the biological offspring of both parents? In snapdragons, tallness (T) is dominant to dwarfness(t), while red color is due to gene (R) and white to its corresponding allele (r). 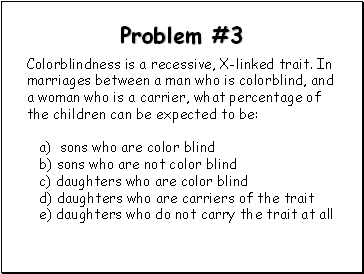 The heterozygous condition results in pink (Rr) flower color. 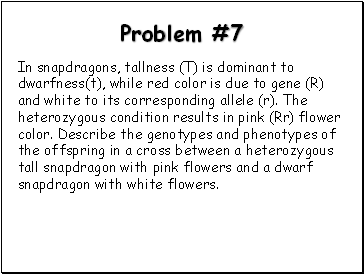 Describe the genotypes and phenotypes of the offspring in a cross between a heterozygous tall snapdragon with pink flowers and a dwarf snapdragon with white flowers.